The calculator assumes that the seam is done along the length dimension for the quilt (see picture below). 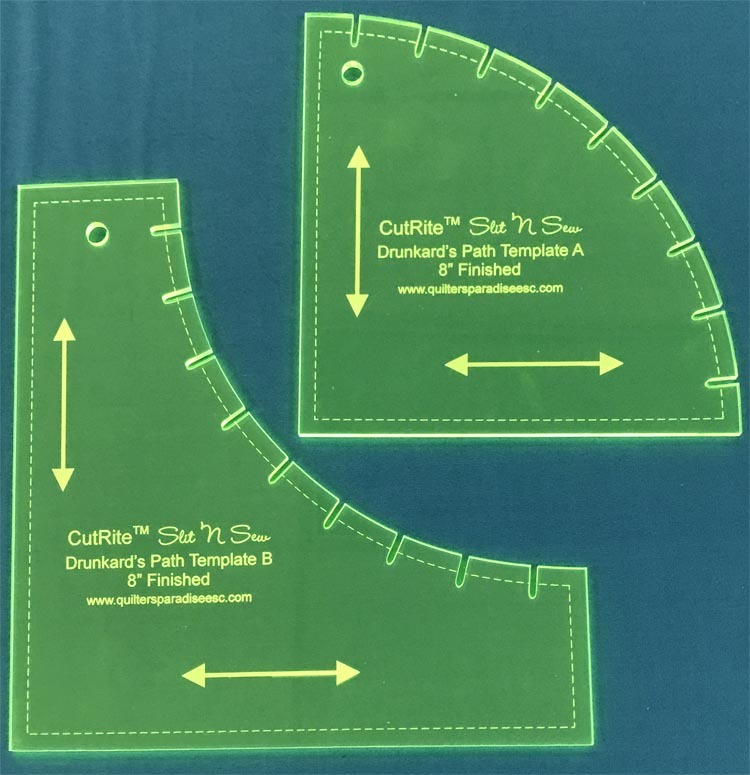 Additionally, the calculator automatically incorporates a seam allowance by adding 1 inch for every seam (1/2 inch for each piece of fabric joined via the seam). The amount of yardage needed is rounded up to the nearest eighth of a yard. For example, suppose the backing you need for a quilt is 52 inches wide by 96 inches long and the fabric you wish to use for the backing is on a bolt of fabric whose width is 43 inches. The yardage required is 5 1/3 yards. Here, the seam runs in the direction of the 96 inch side. Reversing the width and length of the quilt can yield a different amount of fabric required. In the example, reversing the width and length so that the width is now 96 inches and the length is 52 inches, yields a requirement of 4 1/3 yards. Here, the seam runs in the direction of the 52 inch side. Because different yardage amounts often result, the calculator performs two calculations: one with the width and length as you entered it and one with the width and length reversed. In this example, if you wanted to specify an overage of 4 inches, then the calculator would determine how much yardage is required to cover an area 60 inches (52 + 4 + 4) by 104 inches (96 + 4 + 4). Having a problem with a calculator or have a suggestion? We want to know! 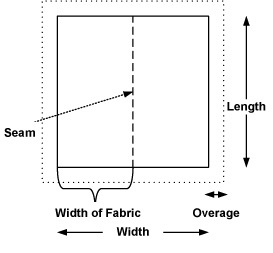 Enter the width of the fabric in inches (default is 43 inches). Enter the dimensions of the quilt in inches and an overage amount, if desired. Then click the Calculate button. The yardage will then be calculated and shown below.